This question made its way to Jim Poyser from Earth Charter Indiana, who helped Orchard become one of only nine states to participate in a national food waste audit through the World Wildlife Fund and The Kroger Co. Foundation. Today, students are knee-deep in the national food waste audit. They are also sharing their knowledge with the Orchard community, as well as the greater Indianapolis community. Technology; literacy; art: In second grade at Orchard, technology is a tool that allows us to make learning visible. Children are taught not only how to use specific aspects of technology but how to use technology to go deeper with their learning. And just as with other tools, we offer plenty of independent exploration and practice so that children can become fluent before they share their work with larger groups. As a part of our project work this year, second graders made posters showcasing what they had learned about food waste, integrating their work on persuasive writing and expression. Another group designed digital PSAs using Adobe Spark Video. Public speaking; art; technology; math: Our second graders are serious about the work that they are doing around food waste. 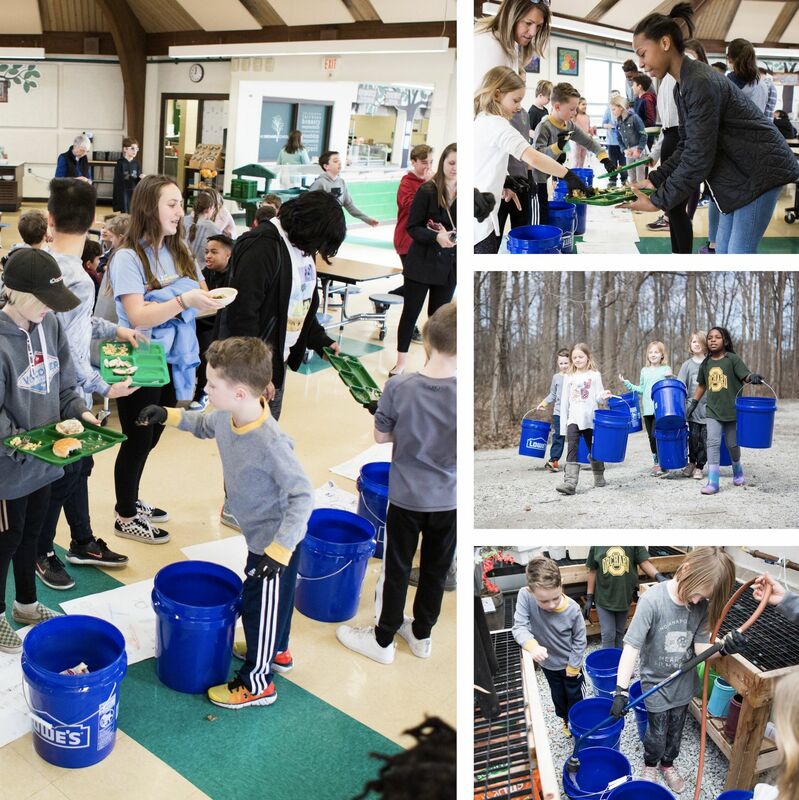 So serious, in fact, that they were willing to make multiple presentations to the elementary school about their work, encouraging all grade levels to take more responsibility for our Orchard community and its commitment to environmental stewardship and sustainability. They created signs, videos, and speeches to get their points across. 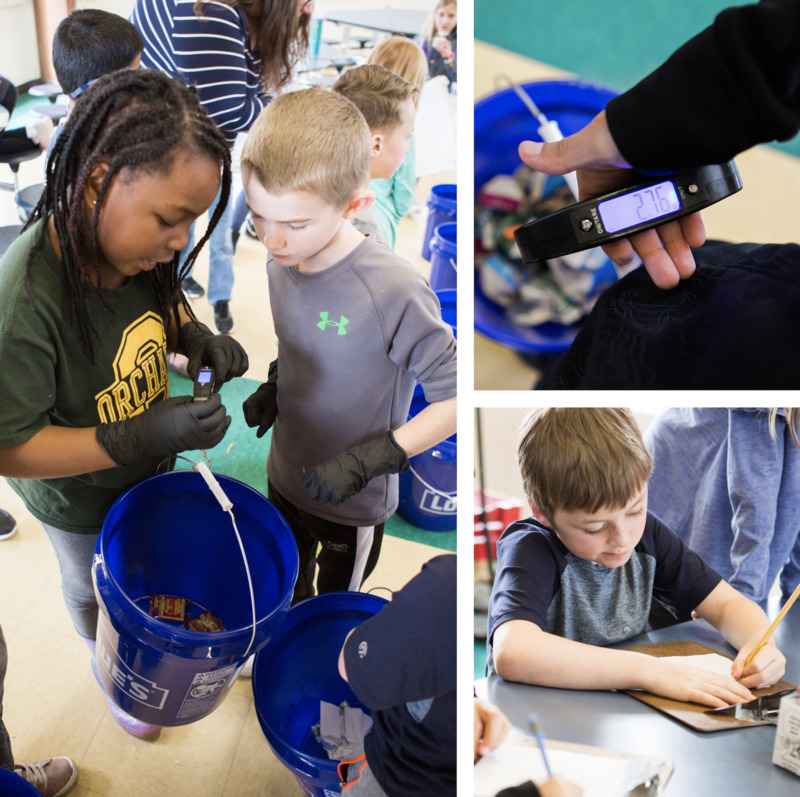 Math; social and emotional learning: Second graders decided to audit the seventh-grade lunch as a part of their participation in the World Wildlife Fund audits, as they decided that it would be best to qualify their project’s impact on an “unschooled” group of students. Students handled all aspects of the food audits, including determining the categories for sorting food waste, creating posters as labels for the buckets, recording interviews with seventh graders about their food choices, and entering all data into the national database for school food waste. Math: As a part of our participation in the World Wildlife Fund school food waste program, we have to enter all the data we collect into a national database. Our team of students records the weights of each bucket (buckets are used to sort food and other waste into categories), subtract the weight of the bucket from the total, then plug those totals into the categories specified by the WWF. Once the date is entered into the database, students get to see different representations of their data, including bar graphs, pie charts, and equivalencies. We share these representations with all of the students during class meetings and discuss the results and what conclusions we can draw from the data as represented. It’s a pretty awesome way to see real math in action! Technology; literacy; social and emotional learning: In second grade, we don’t just assign students jobs at random. As any community organizer or leader knows, you want all participants to feel fully engaged and committed to the work or project at hand. So in second grade, our students interviewed and ranked their desired jobs for the food waste project, and for the WWF food audit program, based on their evaluation of their strengths and passions as learners. Second graders are now divided up into five working teams, including the “gross” group, the analysts, the reporters, the marketers, and the lobbyists. Each team has specific responsibilities and must learn how to work together both as a team and as a part of a larger whole. It’s hard to believe this all started with a mushroom, but here we are. Second graders, along with students from other schools participating in the national food waste audit, were honored by the Indiana Pacers! Orchard students stood proud-as-can-be at center court as the announcer informed the entire Fieldhouse about all the hard work our students are doing to make the world a better place. Some of our students even spoke to interested groups after the game. Thanks again to Jim Poyser from Earth Charter Indiana for helping Orchard become one of only nine states to participate in this audit.